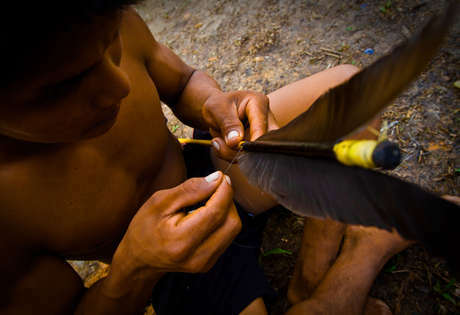 There are around 2,200 Matsés living on the Peru-Brazil frontier in the Amazon rainforest. The Yaquerana river runs through the heart of their land, marking the international border that separates their home. But to the Matsés, the streams, floodplains, and white-sand forests make up an ancestral territory that is shared by the entire tribe. We don’t eat factory foods, we don’t buy things. That is why we need space to grow our own food. 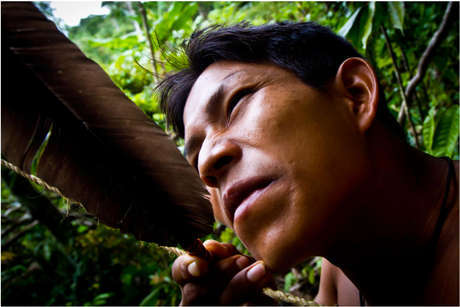 Matsés hunt for animals such as tapir and paca – a large rodent – in the forest using bows and arrows, traps, and shotguns. Each community lives close to the riverbank, and every morning children and adults will set off to catch the day’s fish. 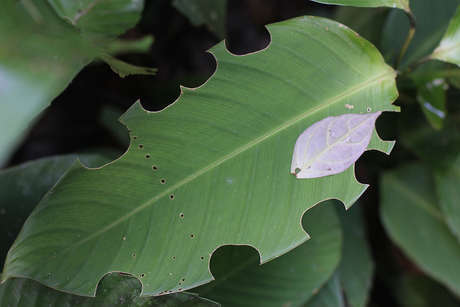 A wide variety of crops grow in their gardens, including staples such as plantain and manioc. Chapo, a sweet plantain drink, is always on the boil in a Matsés home. Women cook the ripened fruit and squeeze its soft flesh through homemade palm-leaf sieves. The delicious drink is then served warm by the fire, and most often drunk while swinging in a hammock! Frogs aren’t just a culinary delicacy, they also have a practical use. 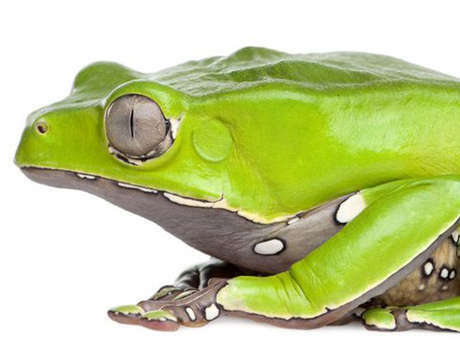 One species of green tree frog known as ‘acate’ secretes a fluid that is used by both men and women for courage and energy, and to increase hunting ability. Men collect the fluid by rubbing the frog’s skin with a stick. It is then applied onto small holes burnt into the receiver’s skin. Dizziness and nausea soon make way to a feeling of clarity and strength that can last for several days. 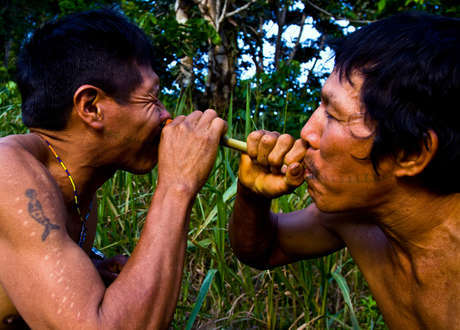 Matsés men blow tobacco, or ‘nënë’ snuff up each other’s noses to give them strength and energy. A Matsés man receives frog poison. His arms and chest show scars from where the poison has been applied previously. Often used before hunting trips, the frog poison increases clarity, vision and energy. 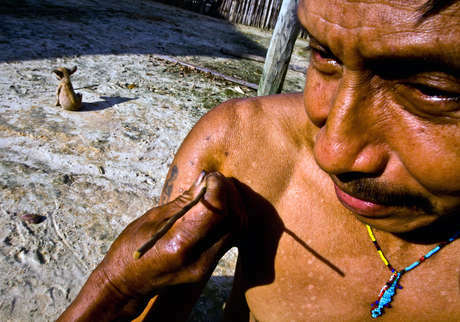 A Matsés man receives potent tobacco snuff up his nose. It hurts, but its effective: the mens strength and energy are improved. Matsés healers have a deep understanding of how forest plants can be used to cure illness. To the Matsés, plants and animals have spirits just as humans do, and can ail or heal a human body. A healer will identify the cause of his patient’s illness and treat it with its respective plant medicine. A sore throat, for example, can be caused by eating howler monkey meat, and can be treated by a plant that resembles the monkey’s voice box. Since contact, the Matsés have suffered severe illness, especially malaria and introduced diseases that their plant-based medicines cannot cure. In 1969, the Matsés were contacted by members of US missionary group the Summer Institute of Linguistics. 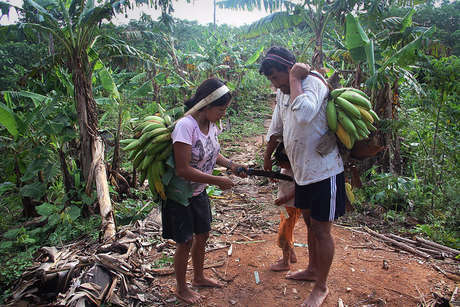 The missionaries arrived following violent clashes between local settlers attempting to build a road through the Matsés territory, and the Indians, who were defending their land. 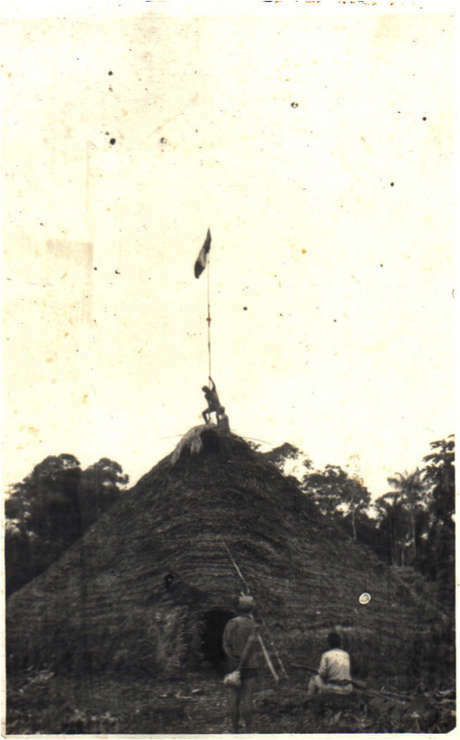 Several of the settlers were killed after occupying one of the Matsés’ communal houses and raising the Peruvian flag, prompting the army to intervene. The Matsés have since abandoned their communal houses for individual family homes, and many of their former ceremonies are no longer practised. Warning to the inhabitants of this area: if you continue to steal and commit crimes…you will be killed with bombs and poison gas thrown from planes and by ground troops. If you change your attitude, President Fernando Belaunde Terry says that you will be received with open arms into the breast of civilization. 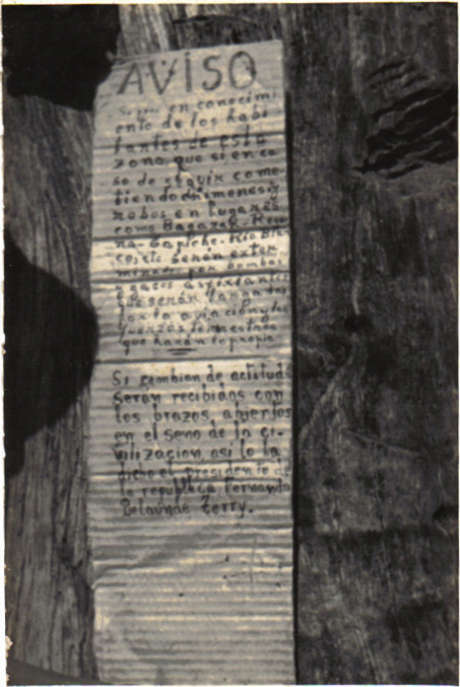 Sign nailed onto a Matsés home by colonists. The Matsés could not read. Other indigenous people remain uncontacted and live close to the Matsés in both Peru and Brazil. During the 1990s, loggers flooded into Matsés territory and the uncontacted Indians fled. Now the Matsés say the isolated people are coming back. ’When the loggers invaded our land, the uncontacted people disappeared from the forest. Now we have expelled the loggers and the Indians are returning. Go and tell the whole world that the Matsés are firm in our position against the oil company. We do not want it invading our land! 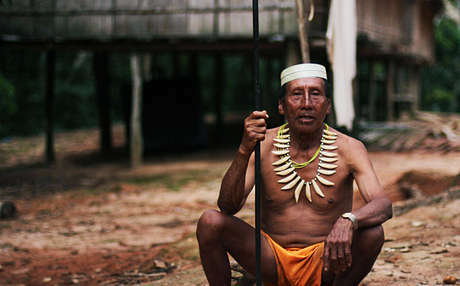 In 2012, Canadian oil company Pacific E&P began to explore for oil on land inhabited by the Matsés and neighboring uncontacted Indians. Oil block ‘135’ lies directly over an area that has been proposed as a reserve to protect the uncontacted tribes. A second block ‘137’ has been drawn up directly over the Matsés’ land title. The Canadian company had the rights to explore for oil in both concessions. Oil will destroy the place where our rivers are born. What will happen to the fish? What will the animals drink? The process uses thousands of explosions along hundreds of tracks that cut into the forest to determine the location of oil deposits. The explosions scare away animals, leaving little food to hunt. Drilling test wells is also likely to contaminate the rivers that Matsés use to hunt and fish. It also allows companies to open up remote areas and set up camps. This increases the risk of contact, and causes the uncontacted Indians to flee. The Matsés repeatedly opposed the company’s work and in 2016 and 2017, Pacific E&P withdrew from both concessions. The Indians are now campaigning for both blocks to be cancelled and for no new contracts to be awarded to oil companies. The uncontacted people are like us before we were contacted by the missionaries. They move from place to place, and when they see a white person they flee. When they hear someone coming close they hide their tracks with leaves and sticks, just as we did. But I know they are there. I can assure you that they are there. In 2012, Peru promised to strengthen legal protection for the rights of its indigenous people, but it continues to permit oil exploration against the clear wishes of the Matsés.